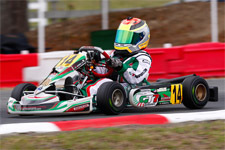 Starting the season off with a fifth place result during the opening round at the GoPro Motorplex in Mooresville, North Carolina, Gangi Jr. returned to the track on Sunday of the event weekend and quickly found his prominent position at the front of the field. Taking home a dominant victory, the multi-time champion was back at the front of the field that he was so familiar with in 2014. Crisscrossing his way across the country, the always-personable hot shoe would enter the second event weekend of the series working with the momentum from his victory. Taking place at the Michiana Raceway Park in South Bend, Indiana, Gangi Jr. was back at the pointy end of the field come the end of the day Saturday, claiming the third step on the podium. Sunday would prove to be a character-building day for the GT7 pilot, as a poor start to the main event would see him finish well down the running order. 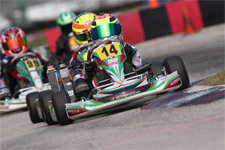 The Pittsburgh International Raceway would be the next stop on the calendar for the USPKS program and the New York resident attacked the track like a seasoned veteran. Always in the hunt, the Tony Kart driver was once again on the podium on Saturday and claimed another top-ten result on Sunday. 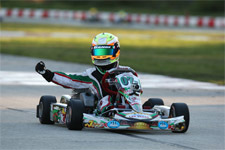 The championship ending round of the United States Pro Kart Series would take place at the ultra-fast and tricky New Castle Motorsports Park. With a 1000 foot straightaway that leads to the checkered flag, the front of the field is not always where you want to be on the penultimate lap. Biding his time early in the weekend, Gangi Jr. slowly worked his way up to speed and by the end of the first of two race days, found himself once again challenging for the win. 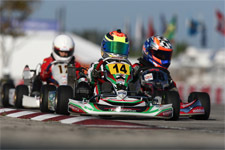 Crossing the stripe third in Saturday’s main event and fifth in Sunday, the quick-witted pilot was happy with his series results as he closed the overall USPKS championship in the third position. 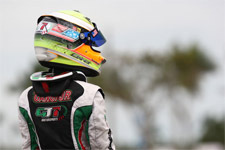 Next up for Gangi Jr. and his GT7 Motorsports squad is the annual Rotax Pan American Challenge. 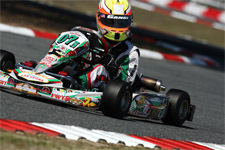 Taking place at the GoPro Motorplex in Mooresville, North Carolina, the youngster will battle some of the world’s best in the hopes to claim another championship. Following that event, Gangi Jr. will travel across the country to the SuperKarts! 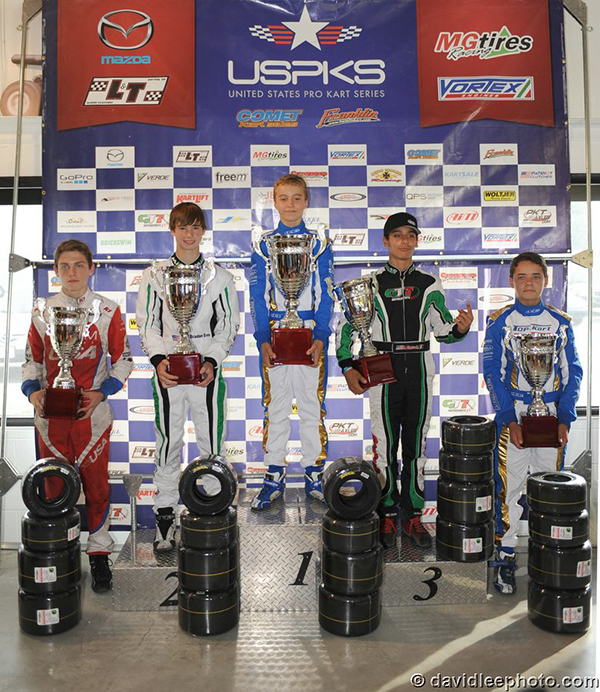 USA (SKUSA) SuperNationals in Las Vegas, Nevada for the final stop on the SKUSA Pro Tour and arguable the biggest and best race on the 2014 calendar. Anthony Gangi Jr. would like to thank Team GT7, tuner/driving coach Thomas Silva, Daniel Woltjer of Woltjer Engines for the always-great power as well as sponsors GT7 Motorsports, Millwork Solutions, Hole Shot Drive Systems, PKT, and Hot Head Engine Preheaters.